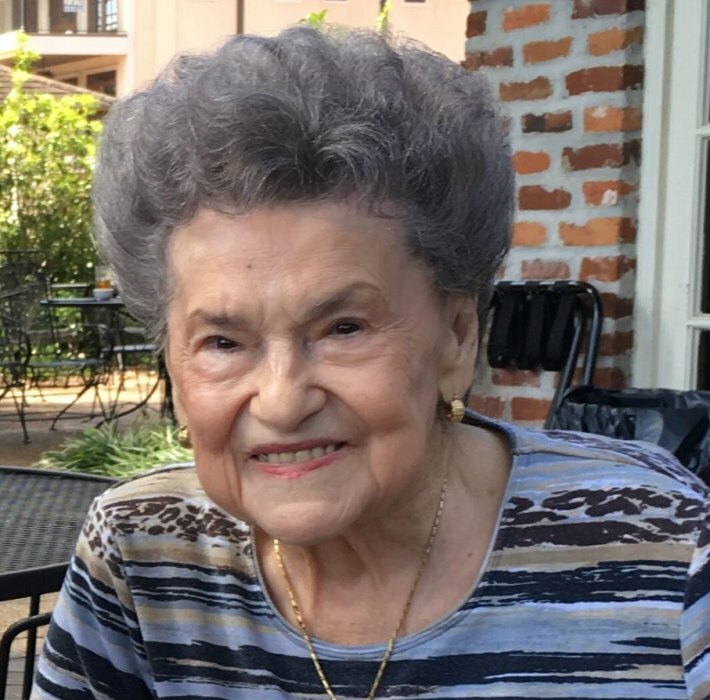 Loretta Epperson, age 92, of Palestine and formerly of Tyler, passed peacefully from this world to her eternal home with Jesus on the 8th day of April, 2019 in Palestine, Texas. Loretta was born in Flora, Louisiana on the 10th day of September, 1926 to Andrew Booty and Belle Russell Booty. She lived her young life in Natchitoches, Louisiana before moving to East Texas. She was a devoted wife who loved to travel with her husband. She was a wonderful mother and grandmother, and her family never had any doubts that she loved them dearly. Loretta loved to dance and even took ball room dancing lessons. She was a very sweet Christian lady and a member of the Crockett Road Church of Christ. Loretta is preceded in death by her parents, Andrew Booty and Belle Russell Booty; husband Floyd E. Epperson; and brother, Truitt Booty. She is survived by her daughter, Rita Taylor of Palestine, Texas; granddaughter, Amy Parker and husband Jody; great-grandchildren, Hunter Parker and wife Kristen, and Heather Parker and fiancé Cory Frazier; Great-great-grandson, Kaleb Miles Parker; and numerous nieces and nephews. Funeral services for Loretta Epperson will be conducted at one o’clock in the afternoon on Wednesday, the 10th day of April, 2019 in the Rhone Memorial Chapel with Dan Manuel officiating. Interment will follow in Rose Hill Cemetery in Tyler, Texas at 3:30 in the afternoon. The family requests that in lieu of flowers, donations be made to the Give Me the Bible Television Program at the Crockett Road Church of Christ, 1717 Crockett Road, Palestine, Texas, 75801.